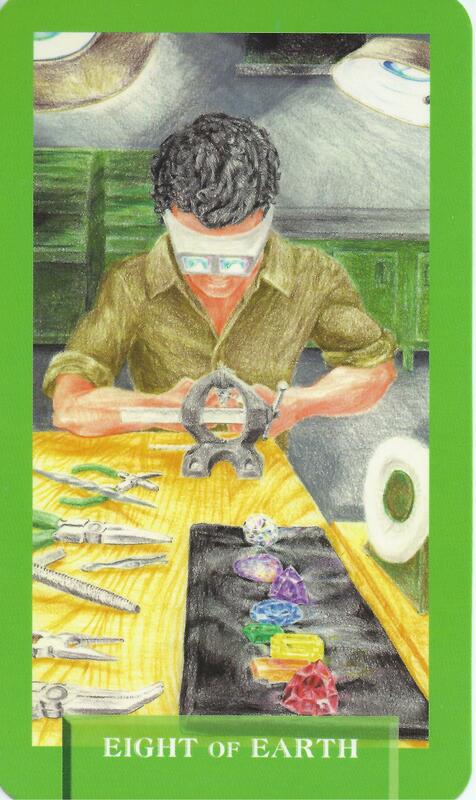 7-23-15 Today’s Tarot is Key 12 Choice. There are always choices. We may not like the choices we have, but we still have the power to choose. 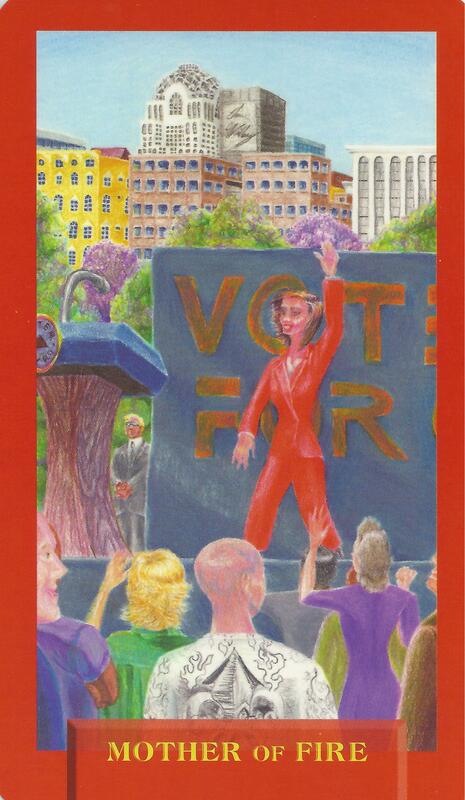 This card is about decisions and possibilities. 7-22-15 Today’s Tarot is the One of Air. Be aware of negative thoughts today. Replace them with positive ones and things will go a lot smoother. This card is about clarity and truth. 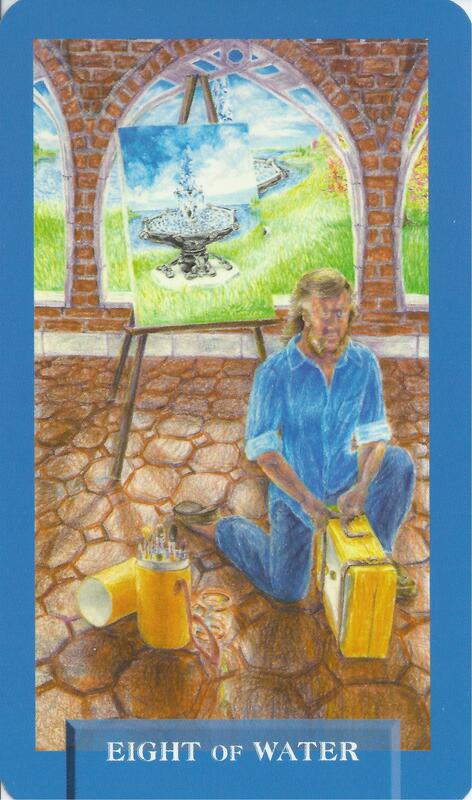 The Seven of Pentacles is known as the patience card. Traditionally, a young man leans on a hoe while surveying the pentacles on a vine before him. He has completed his work and is waiting for the harvest. 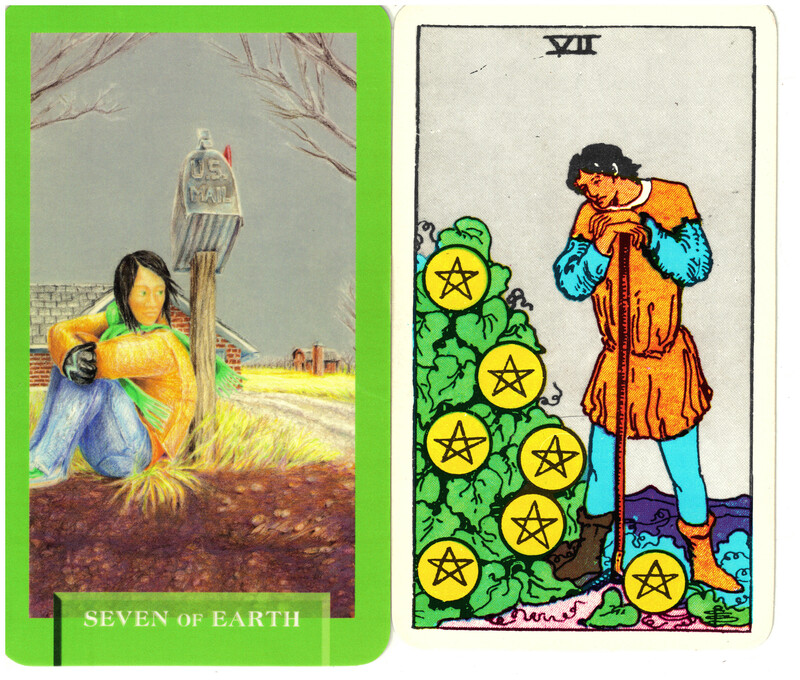 While modern Tarot readers may not identify with this image, it is easy to put yourself in the place of the young girl in Today’s Journey Tarot’s Seven of Earth. It is a cold winter day and she sits by the mailbox waiting for something to arrive. She would not be waiting here unless she had done whatever was necessary for the delivery to occur. Now it is just a matter of waiting patiently. 7-21-15 Today’s Tarot is the Mother of Fire. You have to create your own success. No one else can do it for you. Exert your strength. This card is about focused passion and power. 7-20-15 Today’s Tarot is the Four of Air. Everyone needs time off sometimes. Do not feel guilty for taking care of yourself! 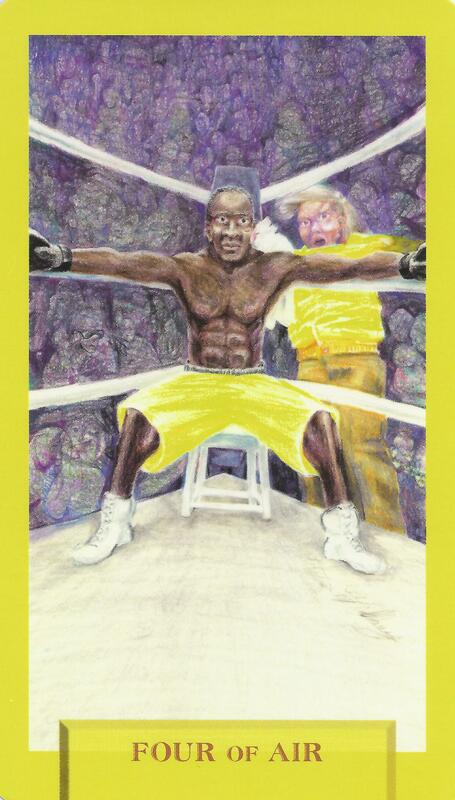 This card is about rest and respite. 7-19-15 Today’s Tarot is the Eight of Water. If there is nothing more you can do, you are done. It may be time to move on. This card is about completions and turning points. 7-18-15 Today’s Tarot is the Nine of Air. Worry is counterproductive. If there is something you can do, do it. If not, let it go. 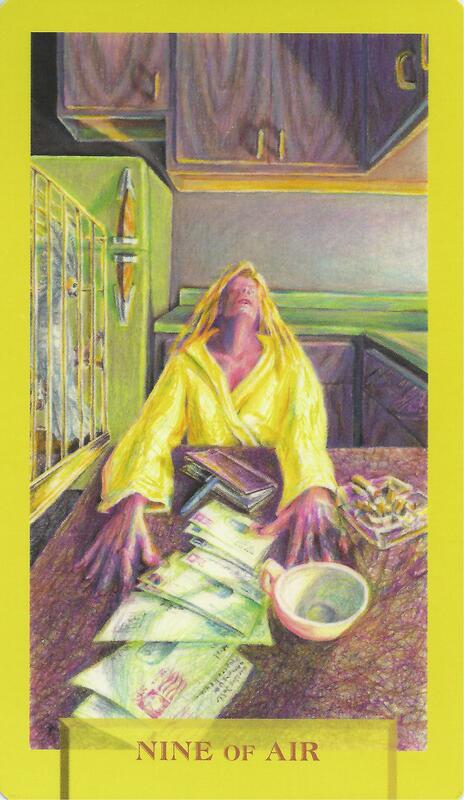 This card is about worry and being trapped by your mind. 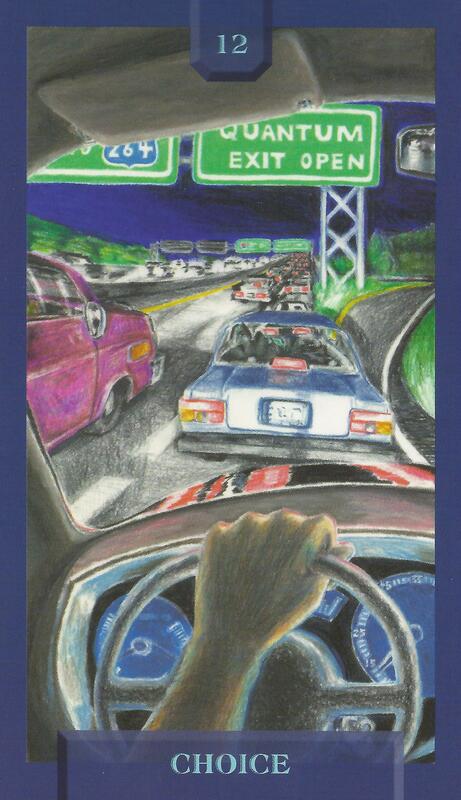 7-17-15 Today’s Tarot is Key 13 Transition. Everything changes. That’s how new and exciting opportunities come into our lives. Welcome the change. 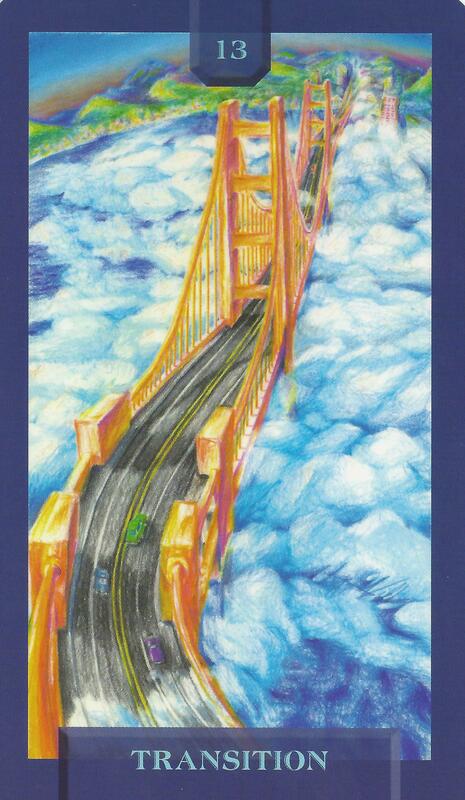 This card is about transformation and passages. 7-16-15 Today’s Tarot is the Two of Water. Watch for a new partnership that could begin taking root today. Could be romantic or business but it will be based on mutual respect. 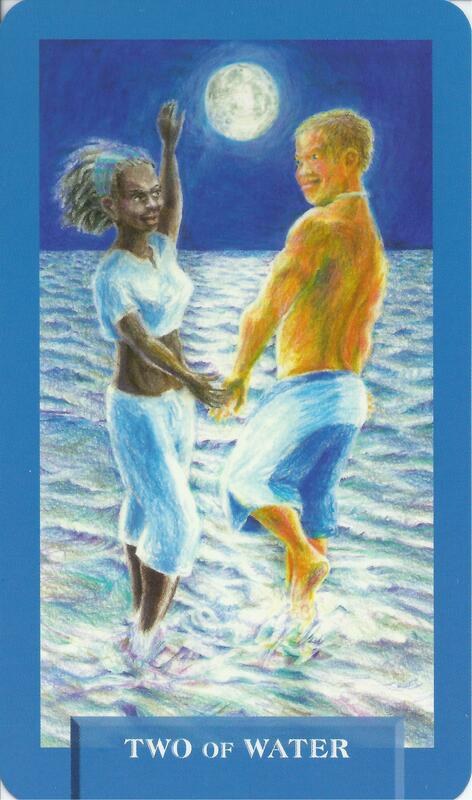 This card is about partnerships and commitments. 7-15-15 Today’s Tarot is the Eight of Earth. It is a cliché, but hard work really does pay off – eventually. Don’t give up. 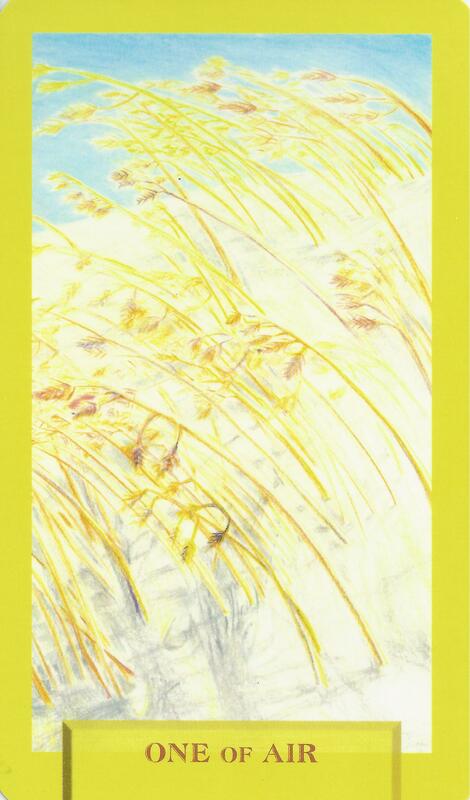 This card is about effort and prosperity.